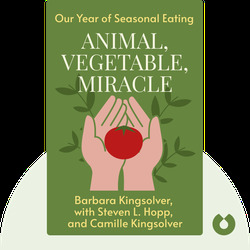 Animal, Vegetable, Miracle by Barbara Kingsolver, with Steven L.
Animal, Vegetable, Miracle (2007) offers insights gained during the authors' year-long sojourn in the countryside. They lived only on seasonal and local food, and their experiment reveals the right time to eat each vegetable and the importance of investing in the local food made by local farmers. 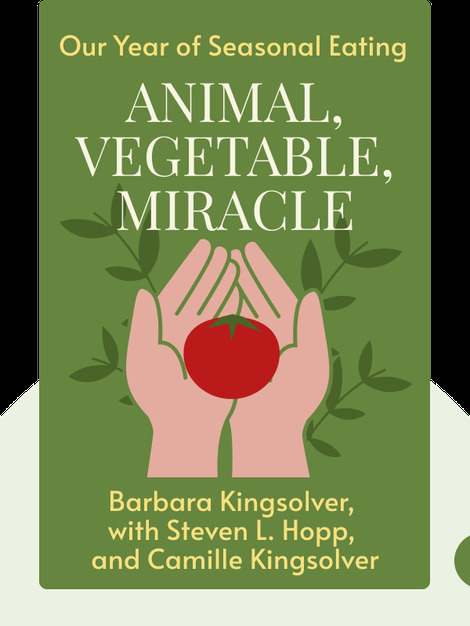 Barbara Kingsolver is a novelist, essayist and poet. Her other works include The Bean Trees, The Poisonwood Bible and The Lacuna, which won the 2010 Orange Prize for Fiction. Steven L. Hopp is a teacher at Emory and Henry College, specializing in Environmental Studies. Camille Kingsolver, a graduate of Duke University, is an advocate for local food. She currently works in the mental-health field.